"Of course it will grow beyond control—it was designed to choose its own evolution." My journey into the realm of the Simic has been a long one. 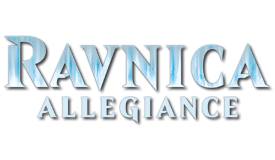 Much like the ideals of the Simic guild, the ideas of the deck have morphed, evolved, and grown over time. It's been an interesting odyssey to say the least, one full of interesting twists and turns (at least, interesting to me). 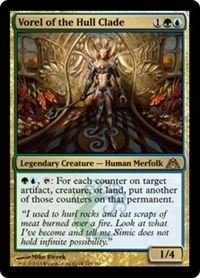 Simic colors are in no way short of interesting and powerful commanders, but the one that seemed to draw my interest more than others was Vorel of the Hull Clade. 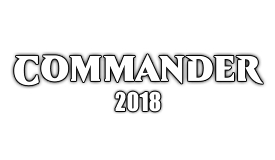 It seemed that if I was doing things right, I would be able to play the other generals in the maindeck (specifically, Prime Speaker Zegana, Momir Vig, Simic Visionary, Experiment Kraj, and even Edric, Spymaster of Trest). At first, I didn’t want to do the +1/+1 counter theme as that was the theme of another deck I had built (Ghave, Guru of Spores). After looking at the cards though, I decided that ignoring +1/+1 counters would exclude a lot of interesting cards and that any of the other themes I wanted to explore wouldn’t be big enough to fill a deck anyway. My decision then was to just try and do the +1/+1 counter theme differently, utilizing Graft, Evolve, Proliferate, and the general Simic theme of growth and evolution. While there is some overlap with my Ghave deck, anything that wasn’t absolutely necessary and was already in Ghave was cut, making the decks feel different enough to make things interesting. One other theme that I wanted to explore from the beginning was Charge counters. Things like Everflowing Chalice, Magistrate's Scepter, Sphinx-Bone Wand, Umezawa's Jitte, Gemstone Array, Golem Foundry, Titan Forge, Lux Cannon, Sun Droplet, and Surrakar Spellblade, in conjunction with cards like Coretapper, Power Conduit, Energy Chamber, and Surge Node seemed like something I could get behind and at least try out. In the end, most of this theme got cut, but I mention it here to remind myself to re-visit Simic again and give these cards a home. I started looking at other potential themes, and two others stood out as possibilities; Level counters on Level Up cards gave me access to some interesting cards like Echo Mage, Enclave Cryptologist, Lighthouse Chronologist, Joraga Treespeaker and Kazandu Tuskcaller, and Spore counters and Fungus cards like Thallid, Psychotrope Thallid, Sporesower Thallid, Saproloth Ancient. I decided that the Spore counter theme would be better served in Ghave (where only Psychotrope Thallid eventually made it into the deck), but the Level-Up cards seemed like they might find a spot. Although all these themes were very interesting to look into, the resulting “short-list” of cards that I wanted to put in the deck was almost 140 cards. Even after paring things down to get rid of anything that was trying to be “too cute”, that only got to 110… and I needed to get down to 63-64. At that point, I did something drastic; I pulled almost every mono-colored card that was a “staple” because of the colors I was in. That process resulted in the following deck. The current overlapping cards with this deck and my Ghave +1/+1 counter deck are Renegade Krasis, Rishkar, Peema Renegade, Kalonian Hydra, Rampant Growth, Cultivate, Hardened Scales, Doubling Season, Primal Vigor, and Contagion Engine. 9/62 is not bad, and it makes this deck play out much more different than Ghave. The deck should be pretty self-explanatory; use all the various effects available to go crazy with +1/+1 counters making huge creatures, drawing tons of cards, and creating tons of mana with which you use to bludgeon your opponents to death. The deck doesn’t rely entirely on Vorel, but it goes a little nuts once you’ve established some things in play with some counters. These cards are in the deck to produce counters for doing things that you normally want to do anyway (play spells, draw cards, etc.) These are the meat and potatoes of the deck and they are all fuel for other shenanigans or end up as huge beaters. Most of these generate their own +1/+1 counters, but I separate these because they all use the +1/+1 counters to fuel other aspects of the deck. The beauty of Vorel and Proliferate is that they don’t care just about +1/+1 counters, so this deck includes a few cool cards to take advantage of that. I want to expand this part of the deck, so I’m actively looking for cards that do cool things with counters. These are what drives the deck into overdrive and they have become the core theme. If you aren’t untapping Vorel, you don’t have many other creatures to untap (your other main untap options are Joraga Treespeaker and Experiment Kraj), so I felt that just the ones that are on-theme or grant other abilities (pseudo-Haste and Protection) were acceptable. Seedborn Muse and Murkfiend Liege also combo with Opposition and Tradewind Rider to help control the board. This is where I’ve really cut back, trying to just hit enough ramp to see 1-2 per game. I can definitely see adding in more over time, but I think it all depends on where the mana curve ends up. The beauty of running UG is that there is little need to run a card strictly for card draw. Everything is either a draw trigger or gets you something into addition to drawing cards. A bare minimum suite of control cards is necessary. One card that needs explanation is Opposition; the card is often synonymous with lockdown strategies, but its inclusion here was for interaction with Gilder Bairn (along with Tradewind Rider; Earthcraft, and Nature’s Chosen are other great options). 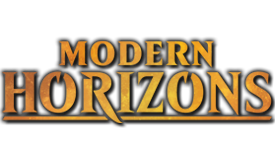 Vorel of the Hull Clade + Thousand-Year Elixir, Rings of Brighthearth, Vigean Graftmage, Seedborn Muse, Murfkiend Liege, Pemmin's Aura, Minamo, School at Water's Edge, +1 on Kiora, Master of Depths: It’s really easy to want to get crazy with untapping Vorel, but the idea here is to use cards that are good with many other things in the deck. Gilder Bairn + Opposition, Tradewind Rider, Rishkar, Peema Renegade, or Vigean Graftmage: Gilder Bairn is a difficult nut to crack; if the coast is clear and he can swing in for combat damage, then tapping him is no problem. If not, you’ve got to get a little creative. I also had Narcolepsy (which can also be used defensively), Earthcraft, and Nature's Chosen in the deck to also get Gilder Bairn tapped for no mana cost, but I had to trim it down for space. 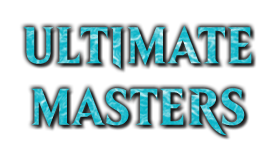 Master Biomancer+Umezawa's Jitte: Jitte is normally in there to build up counters and take out a few key creatures, but using it to pump Biomancer can make a few really large creatures for the turn. Alchemist's Refuge+Seedborn Muse, Murkfiend Liege: We can’t play with Prophet of Kruphix anymore, but we can recreate the effect with these cards. Add in a Winding Canyons for a complete effect (makes me want to actually shell out the $8-$10 to buy one). Rings of Brighthearth+Contagion Engine, Magistrate's Scepter, Thousand-Year Elixir, Kiora, the crashing Wave, Kiora, Master of Depths, Sphinx of Magosi, Vigean Graftmage, Sage of Hours, Zameck Guildmage, Simic Manipulator, Viral Drake, Vorel of the Hull Clade, Experiment Kraj, Tradewind Rider, Gilder Bairn: Rings of Brighthearth is a card that you usually want at least 14 other cards to combo with in order to somewhat ensure that it will be useful, and in this deck it has profitable interaction with 15 cards including the commander which makes it very worthwhile. 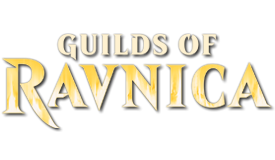 Zameck Guildmage+Fathom Mage: At some point, you are not going to be able to play creatures big enough to evolve Fathom Mage on its own, so you move counters or eat counters with Zameck Guildmage till it gets low enough to evolve again. This is useful for all of the Evolve creatures. Opposition, Tradewind Rider+Seedborn Muse, Murkfiend Liege: Use the untap of your creatures to lockdown your opponent’s creatures during their upkeep or to start bouncing permanents off the board. So that is the deck so far. As you can see by the list of cards that I’ve recently cut I had a HUGE list of cards that I wanted to include, but I only had so much space and I wanted this deck to be as different from my other decks as possible. I’ve purposely titled my card choices towards things that weren’t already in Ghave, and towards things that were both blue and green. So even though I’m passing up on Deadeye Navigator + Mulldrifter or Mystic Snake, or abusing more Planeswalkers, or trying to untap Vorel 10 times per turn, I think the deck does its own thing rather well. Reason//Believe - If I had some higher CMC stuff to try and cheat into play then I would probably want to run this, but as-is I don't think you get enough for your card. River Hoopoe - Since the deck doesn't care about the two life, I'm essentially overpaying for the card draw. Not a bad card, but not better than what I'm already running. Sunset Pyramid - I can Proliferate and double-up the Pyramid counters, so this will likely stay charged the entire game. For card draw, that is not a bad deal. Galecaster Colossus - So I'm running 8 Wizards which is probably not enough. I already don't run Azami for a similar reason. Hungry Lynx - The deck runs no other Cats so this is a no, not to mention I don't have any good ways to kill off the Rat tokens. Deeproot Champion - I run plenty of ways to get counters on this so it is something to consider, esepcially given that it only costs two mana. Growing Rites of Itlimoc - Excellent card that is just as good here as it is elsewhere. Herald of Secret Streams - Forget giving them Trample or Flying, we'll just jump to straight up Unblockable. Awesome. 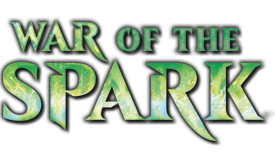 Shapers of Nature - Feels a lot like how Simic Guildmage should have been printed. Hadana's Climb - I like the idea of free +1/+1 counters each turn and there is some power in flipping this into Winged Temple of Orazca. Path of Discovery - Being able to Explore for each of my creatures gives them all the potential to start off with a +1/+1 counter. Strength of the Pack - I just don't think this is worth the 6 mana. -1 Pemmin's Aura - This is a fine card in this deck, but I had one too many untappers and this is the most fragile one. -1 Astral Cornucopia - This can get pretty ridiculous, but I just didn't need that level of mana production. -1 Solidarity of Heroes - I'm a fan of this card on one level and I hate it on another. I decided that as much as I like Growing Rites of Itlimoc and Path of Discovery, I just don't have room to add them right now. Marwyn, the Nurturer: With 8 others Elves in the deck, plus a lot of other ways to get counters on her or buff her power, this seemed like a great mana generation option. Naban, Dean of Iteration: There are 8 other Wizards in the deck that can potentially trigger effects from Evolve and Prime Speaker Zegana that cares about this, so I don't think it will have a place in the deck. Song of Freyalise: This would be on-theme, but I don't see it being better than anything I am running nor do I really know how useful it would be. Tatyova, Benthic Druid: Card is ridiculously good and will come in for sure. Wild Onslaught: This at least made me wonder if the price was right for this kind of effect; it's a strictly better upgrade to Titania's Boon, and compared to Durable Handicraft, Fangren Firstborn, the -2 on Nissa, Voice of Zendikar, Primeval Protector, Ridgescale Tusker, Strength of the Pack, and Strength of the Tajuru shows me that this is probably costed just about right from an historical standpoint. If anything, this is making me reconsider adding Fangren Fistborn into the deck more than anything else. +1 Marwyn, the Nurturer, -1 Kiora, Master of Depths: Proliferate shenanigans aside, Kiora is very underwhelming too often. +1 Tatyova, Benthic Druid, -1 Kiora, the Crashing Wave: I thought I would make it a clean sweep of all my walkers in this deck. +1 Fangren Firstborn, -1 Altered Ego: Altered Ego is expensive to use effectively, and I'd rather have something that puts counters on multiple guys. +1 Farseek, -1 Cultivate: Just a small tweak to make my ramp line up a little better; I found that I had plenty of things to do at three mana and not enough on two.